Why have your cookies changed? We believe that real tastes better. That is why we have made some changes to our cookies. Our cookies are now made with no artificial color, no artificial flavor and no high-fructose corn syrup. We are working hard to avoid the use of Artificial Colors in our Cookies. Currently there are Artificial Colors in our Sugar Free wafers but we are working to eliminate them from all of our recipes. Do you use Artificial Flavors? We are working hard to avoid the use of Artificial Flavors in our Cookies. 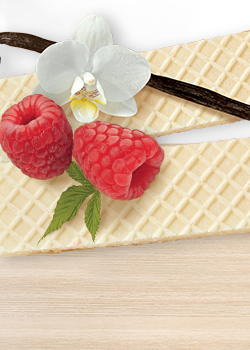 Currently there are Artificial Flavors in our Sugar Free wafers but we are working to eliminate them from all of our recipes. Do your cookies contain Trans Fats? No. Our cookies do not contain trans fat and have been this way since 2004. Do you use High-Fructose Corn Syrup? No. There is no high-fructose corn syrup in our cookies. Where are your cookies made? 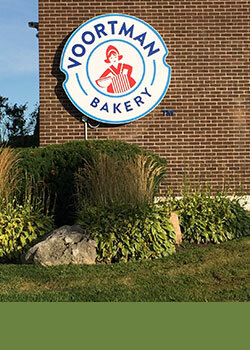 All of our cookies are made at our bakery in Burlington, Ontario Canada. Is your facility allergen free? No, our facility is not allergen free. However, we take great care to ensure there is no cross contamination between our products. Are your cookies suitable for vegetarians? Yes, our cookies are suitable for vegetarians. Are your cookies suitable for vegans? Some of our cookies contain whey powder, milk chocolate chips and eggs, which are not suitable for a vegan diet. We encourage you to check the ingredient listing on each specific product. Since our bakery uses these ingredients in certain products, it cannot be considered a vegan friendly facility. Are any or your cookies gluten free? No, our cookies are not gluten free. Are any of your cookies nut free? Some of our cookies contain nuts but many do not. We encourage you to check the ingredient listing on each specific product. Even though we take all necessary precautions to ensure there is no cross contamination between products, our facility is not nut free. All of our cookies are kosher dairy. Are your cookies suitable for a dairy/lactose-free diet? Some of our products contain whey powder and milk chocolate chips, which are not suitable for a dairy or lactose-free diet. Since our bakery uses these ingredients in certain products, it cannot be considered a dairy-free facility. Where can I find the nutritional information for your cookies? Do your cookies contain MSG? No, our products do not contain MSG. Why is there a dark spot in my wafer cookie? Why are there brown flecks in my almond cookies? 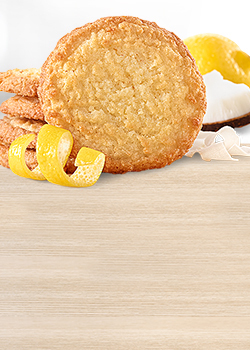 The brown flecks in our almond cookies are pieces of real, ground almonds. Why are my cookies all broken? Why do your No Sugar Added cookies say they can produce a laxative effect? Dependent on the person and the quantity consumed, our Sugar Free cookies may cause a laxative effect in sensitive persons. This is due to the sugar substitutes used in these products. How do I check the freshness date on my cookies? To check the freshness date, look on the right hand side, on the front of your package, to find 2 letters and 4 numbers printed in silver font. The letters represent the month and the numbers represent the day and year. For example: JL1417 2235 F (would be July 14, 2017). What is the best way to store my cookies to keep them fresh? The best way to store your cookies and maintain optimal freshness is to keep them in a re-sealable bag or container. Yes, you can freeze our cookies in a sealed package prior to the freshness date. Please check with your municipal recycling guidelines. I can’t find the type of cookies I want in my area. Can you ship them to me? We do not offer shipping at this time. Please contact your local retail store manager or check our website for local retailers in your area that may carry the product that you’re looking for. The term net carb simply refers to the carbs that are absorbed by the body. (Impact carbs) Not all carbohydrates affect the body in the same manner.Impact Carbs: Carbohydrates that are digested and turn into blood sugar. Non-Impact Carbs: elements of a product such as fiber and sugar alcohol’s that have little to no impact on blood sugar levels. Should you count total or net carbs? It depends on what your goal is and how sensitive to carbs you are. Always consult any dietary changes with a health professional, especially if you have a health condition such as diabetes or heart disease.